Archipelago International received rave reviews this year at their recently held semi-annual Sales and Marketing conference. 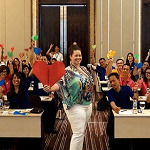 Indonesias largest management group has touted a unique approach to staff training as well as a highly specialized approach to guest relations. Archipelago International continues to retain its solid reputation as the fastest growing hotel management company in Indonesia with the latest opening of Harper Cikarang. As one of the celebrated events in the company, the Culinary Festive welcomes a stream of talented chefs, bartenders and F&B innovators from more than 130 hotels under the portfolio of Archipelago International. The annual competition will see the participants putting their craftsmanship and talent to test in a battle of the best of the best featuring three different challenges including the Black Box Cooking Competition, Innovative Cocktail & Mocktail Creation, and the Food Truck Concept Competition. 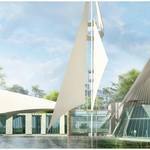 Archipelago International, Indonesia's largest hotel management company, continues the rapid expansion of its hip yet affordable Hotel NEO label with the opening of the Hotel NEO Kebayoran. 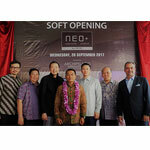 Becoming the first Hotel NEO in the capital city, the new Hotel NEO Kebayoran joins Archipelago International's impressive collection of 24 hotels in Jakarta alone out of 130 across South East Asia. Archipelago International, Indonesias fastest growing hotel management company, is once again driving a wave of expansion with the announcement of a five-star villa resort in Port Dickson, Malaysia. Not only leading the way domestically, Archipelago International is setting its sights on the international market.